In an old beat-up dented 15 year-old red Ford F150 pickup, Christina and I and 10 others crammed in the front and back of a Navajo style 4WD ride. 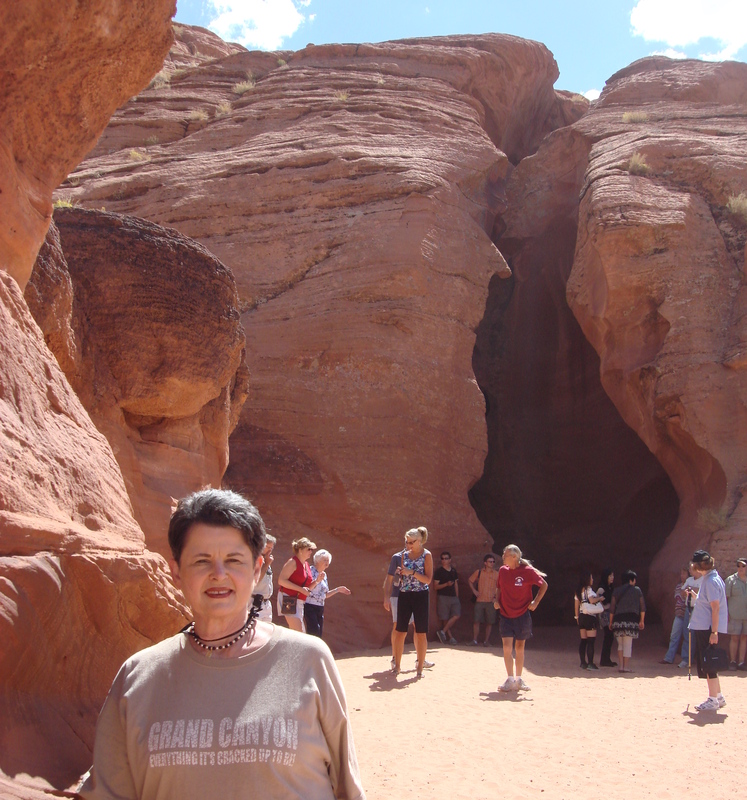 The driver-guide was Vera “pure Navajo through and through from head to toe in every sense of the word” the Navajo said. She rocked and rolled and rattled and spun us for 2 miles all the way down hot and sandy Antelope Canyon to the entrance of the Upper Antelope Canyon or Slot Canyon, all a part of the Navajo Nation land near Page, Arizona and Glen Canyon National Recreation Area, USA. 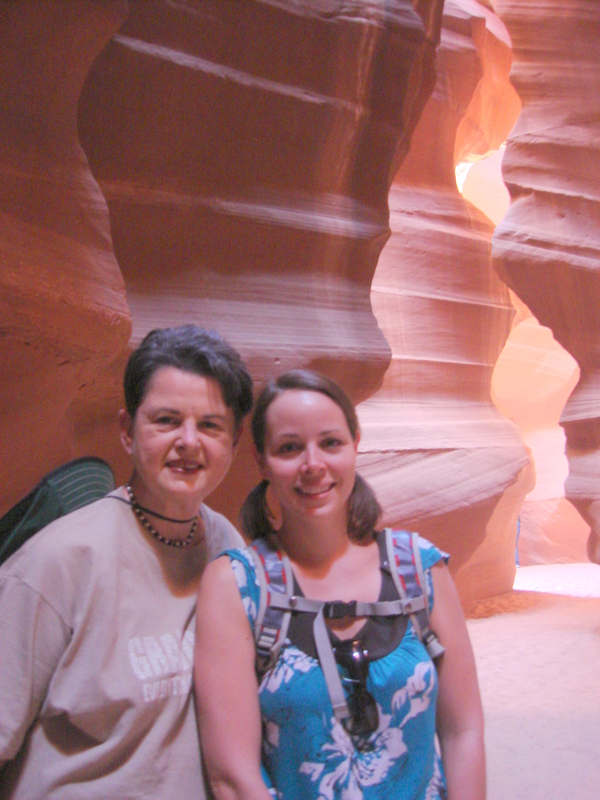 We had to have a Navajo guide with us at all times because Upper Antelope Canyon is an active flood area at any time when rain occurs even miles away from the canyon. 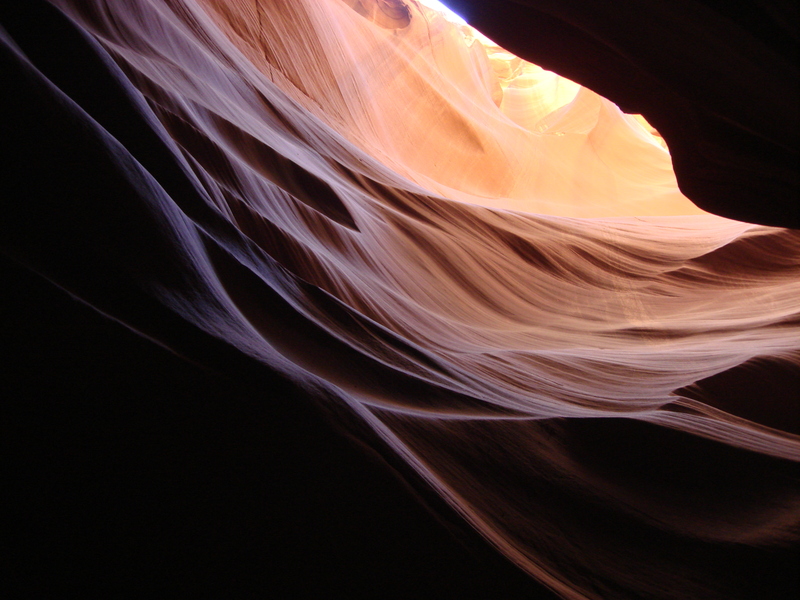 And the Navajo have the experience and the communication system to know when flood waters will hit Antelope Canyon and especially Slot Canyon. When the raging force of flash flood water enters Slot Canyon, it can fill this canyon up to 60 feet high with such great force that people have died. 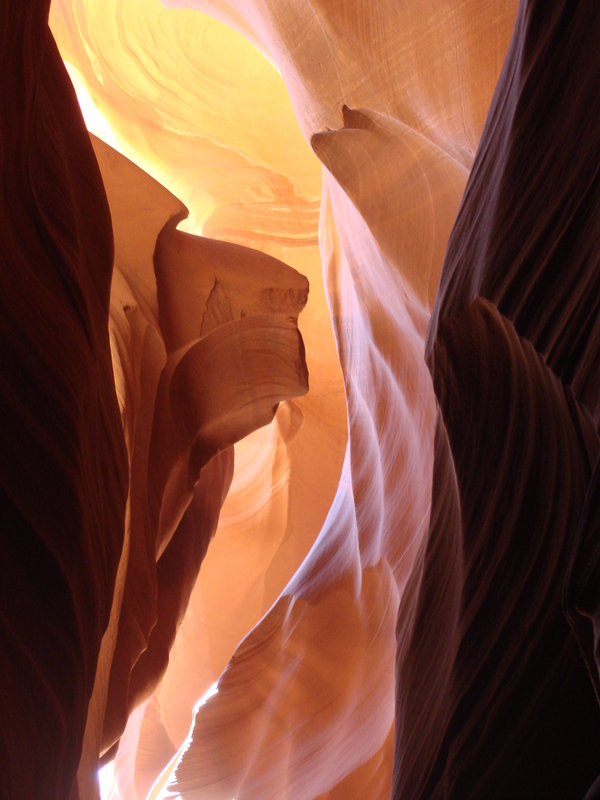 Knowing the weather was agreeable, we entered Upper Antelope Slot Canyon, the most visited slot canyon in the Southwest because all conditions here are ideal. And what an entrance it was. It was at least 20 degrees cooler inside and the walls were 60 feet tall and the slot at the top ranged from 3-12 feet wide. They were carved, scared and twisted in such beautiful formations it was just shocking that this was a natural creation. 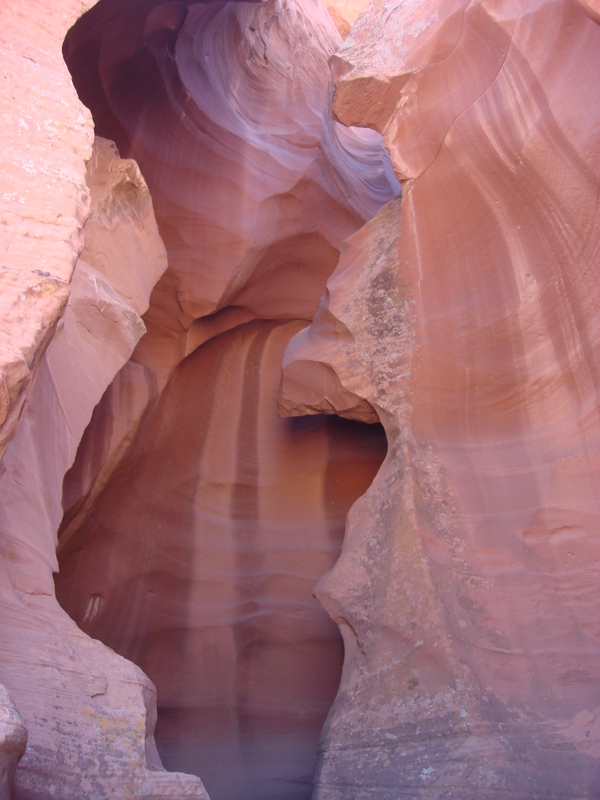 The red-orange sandstone walls had been shaped for thousands of years by winds and powerful floods through the skinny canyon. And the twisted and swirled red-orange sandstone walls the length of a football field were the result. Another highlight of the visit came from the sun. 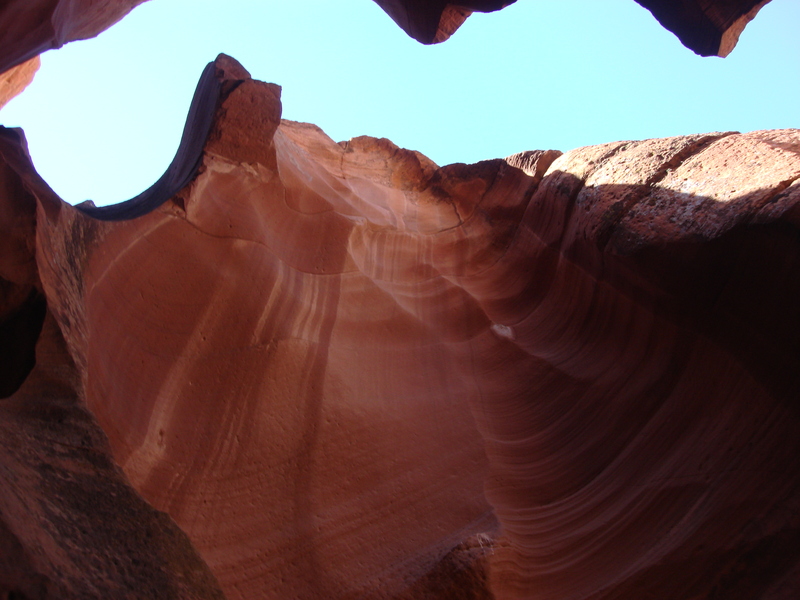 The prime time to visit Slot Canyon is 10 am to noon because of the angle of the sun into the canyon. 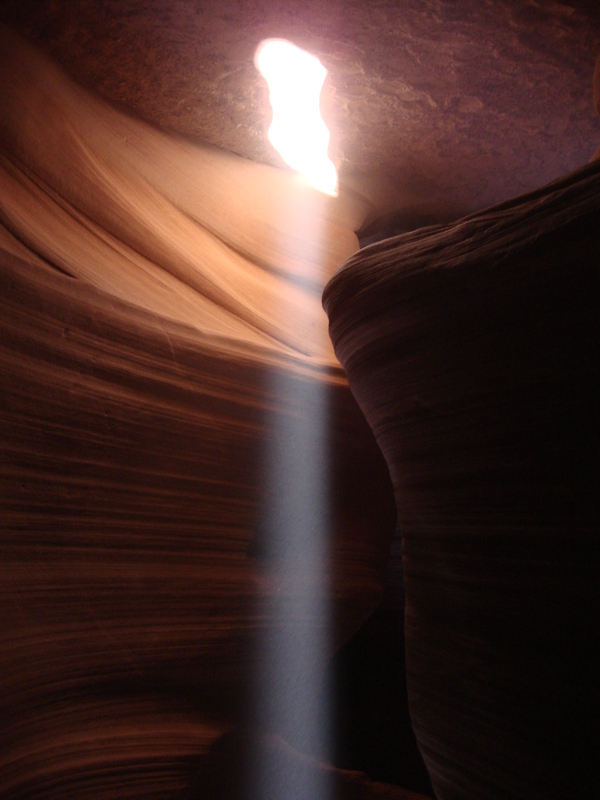 All of a sudden, through one area of the canyon’s slot ceiling, the sun shone a foot-wide beam of white light down to the sandy floor. It was such a mystical magical event and created a feeling of heavenly euphoria. We didn’t want to leave. But, too soon, the magical walk through the canyon ended and it was time to get back into the old dented F150 Ford Pickup and rock and roll back to the main Navajo tourist office and our Tauck World Discovery tour coach, thus ending a one-of-a-kind walk through Navajo candy-looking corkscrew canyon land.